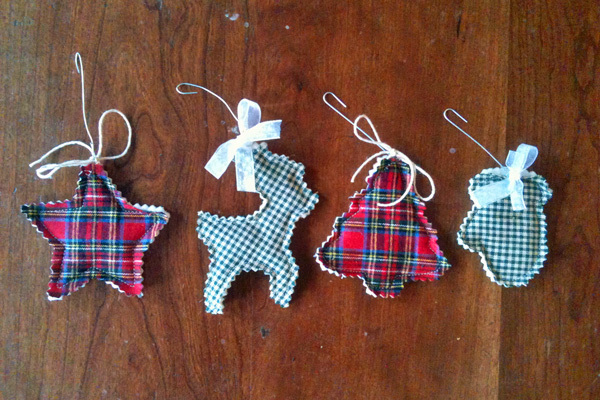 Over the weekend, I started to panic when I realized that we didn’t really have any Christmas ornaments! So you know, I just whipped some up real quick like so the tree wouldn’t be naked. 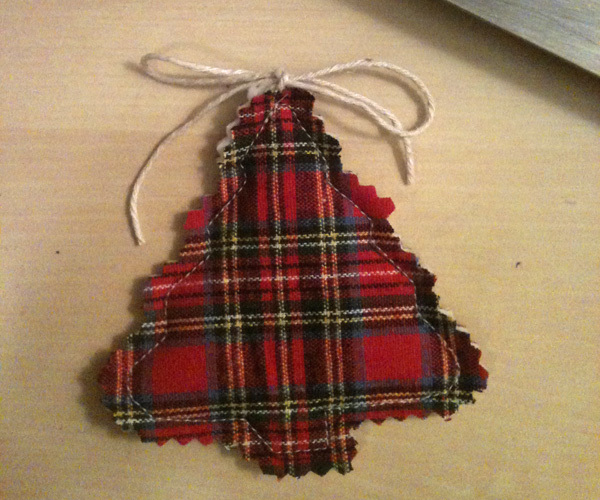 I decided on a plaid Christmas tree. It says Christmas, but we could also use them as winter decorations later. 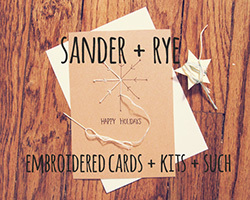 If you want to try to make your own, just draw a shape onto the fabric. I used some cookie cutters as patterns. 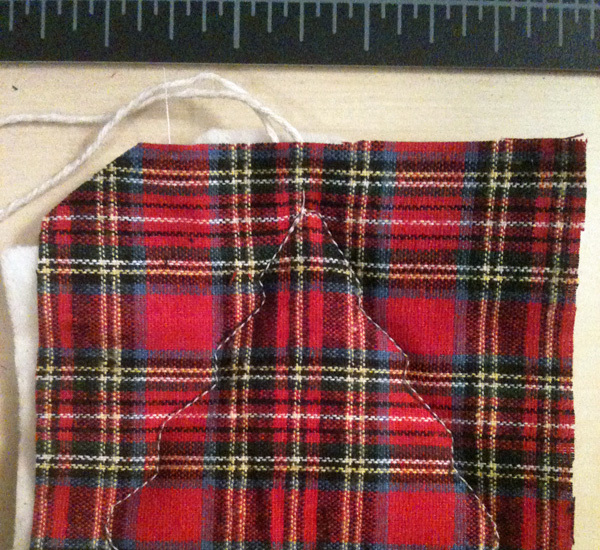 I sandwiched the fabric with some batting and a little ribbon or twine, and then sewed on the outline. Then I took some pinking shears and cut out the shape. 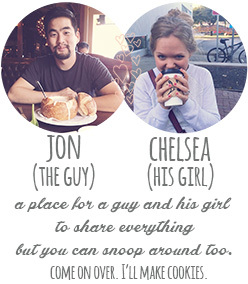 Tie a little bow or knot, and you’re done. 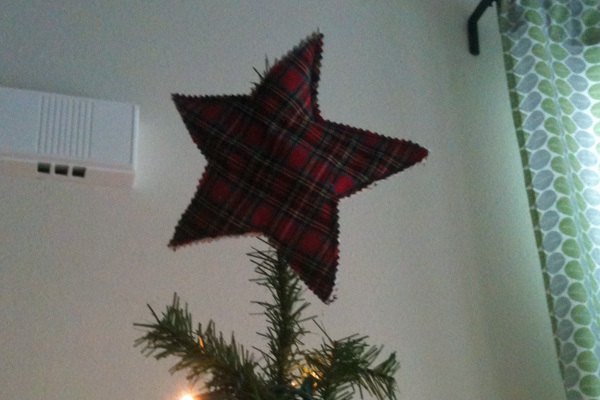 And because I can’t stop, won’t stop, I fashioned a plaid star for the tree topper too. 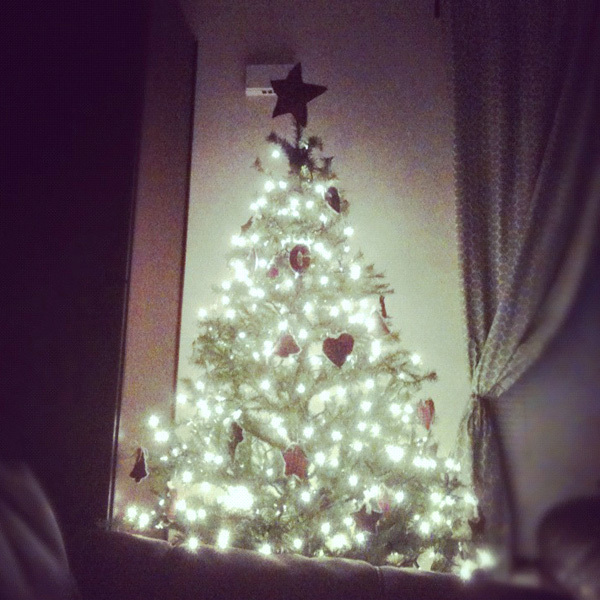 We decorated the tree at night by Christmas tree light, while drinking hot chocolate. 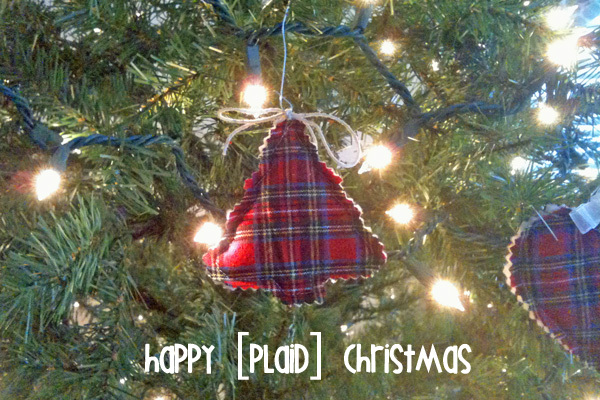 Our plaid tree is the perfect little tree for us! 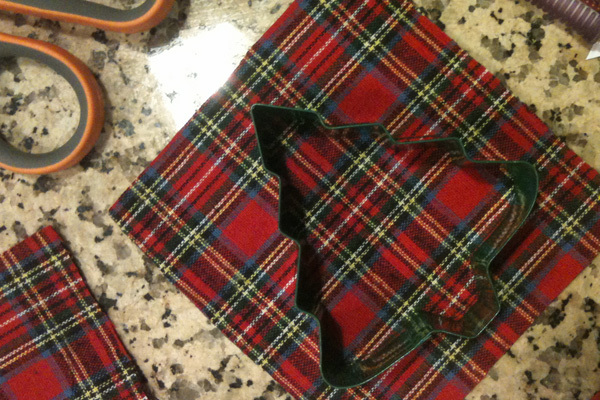 This entry was posted in Make and tagged Christmas, christmas tree, craft, decoration, diy, gift, handmade, holiday, ornament, plaid, sew, tree, tree topper, tutorial on December 3, 2012 by Chelsea.